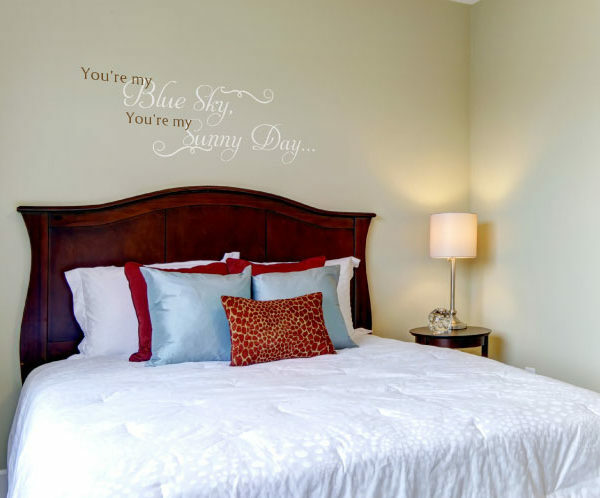 Are you looking to jazz up the walls in your bedroom? Read on! 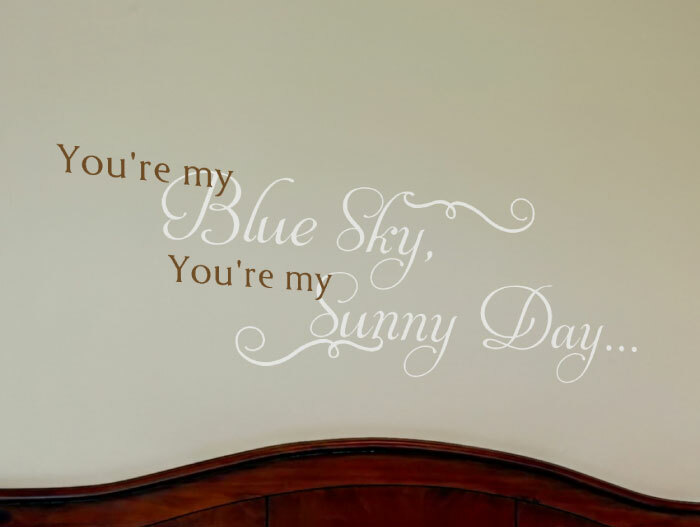 At DecorativeLettering, we have wall words that are suitable for all the rooms in your home. 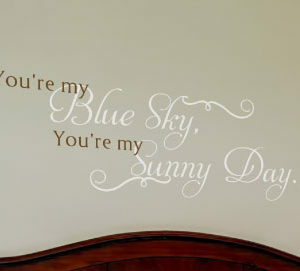 ‘You’re my blue sky, you’re my sunny day…’ wall letters look amazing in this bedroom! They tie in with the headboard, duvet, and cushions. The wall lettering style also matches the straight lines in the room. Waking up to such amazing words is a great way to start the day and affirm a commitment to your spouse. Now that is awesome! Are you looking for a unique housewarming or wedding gift? Try DecorativeLettering products! 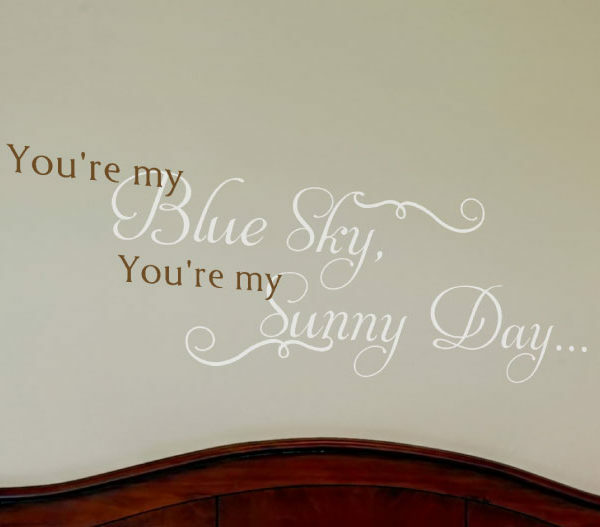 Resin made, these wall quotes are durable, affordable and look as though they were hand painted on to the wall! The resin makes them resistant to extreme temperatures. They will work well for this room. This is a great gift that you will enjoy for years to come! Applying them is easy. Peel the underlying sheet and stick the adhesive side of the lettering onto the wall. It is that simple! You can also remove them and reapply onto a different spot should you wish to do so. 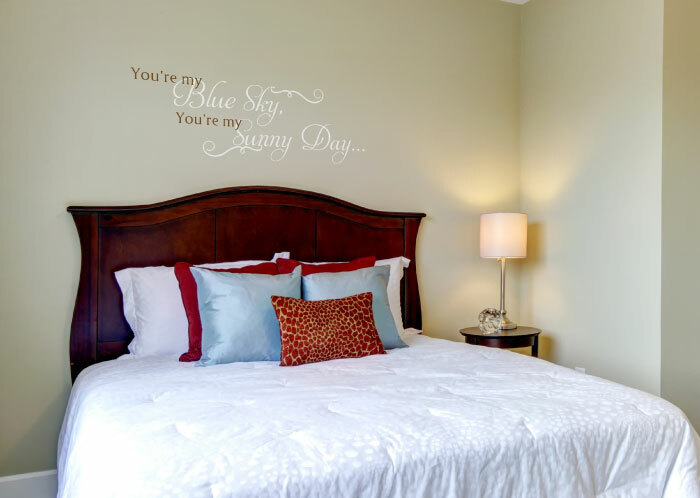 For well-lit rooms such as this one, we recommend matte wall quotes. This deals with glare associated with strong light enabling you to view without a problem! Do call or email. We would love to hear from you. Let us help you decorate with awesome wall decor and brighten your space!